Send (us) Twilight your Holiday Wishes! 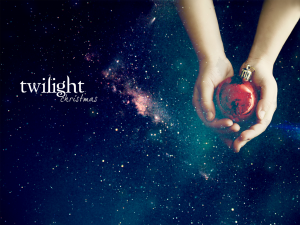 You know how on like December 20th you remember CRAP I haven’t sent/done/made/mailed the Christmas cards yet and I REALLY wanted to include Kellan/Rob/Taylor/Nikki /Stephenie/Summit/the person who created those Twilight bandaids on my list. Well have NO fear because we have you covered. Inspired by “Wish the Obama’s Well for 2012” and our pal Bella Not an Addikt, we’ve created this totally fake AWESOME form for you to send your Holiday Greetings, thanks, and New Year’s hopes to anyone in the Twilight Universe! 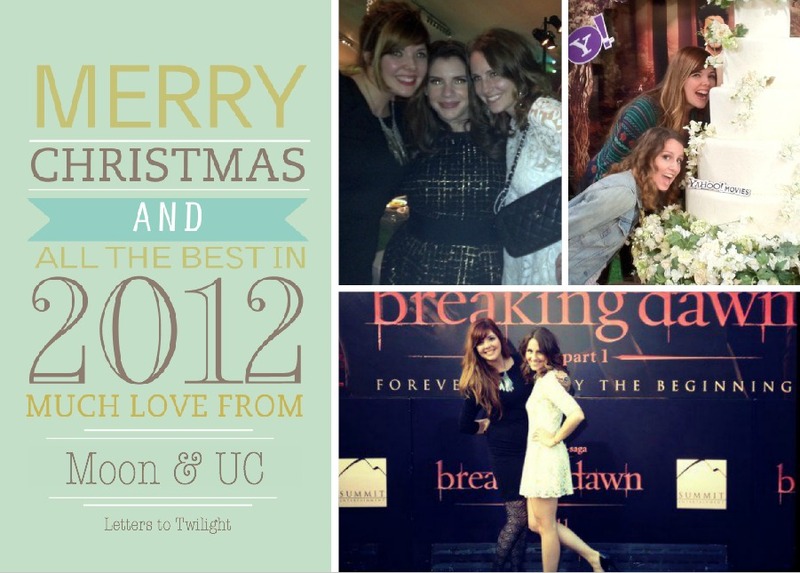 Want to share you 2012 wishes with Kristen or tell Solomon how much you wish he would have a cameo in BD2? 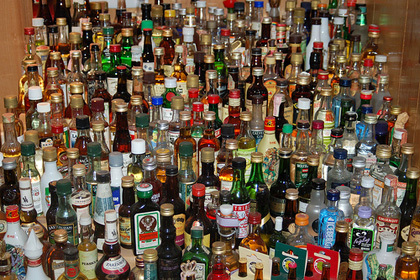 This is the place… we will see to it that they get delivered… right to our inbox! Then if we laugh hard enough or our cold, dead hearts cry a little your entry may be featured next week right here on LTT! 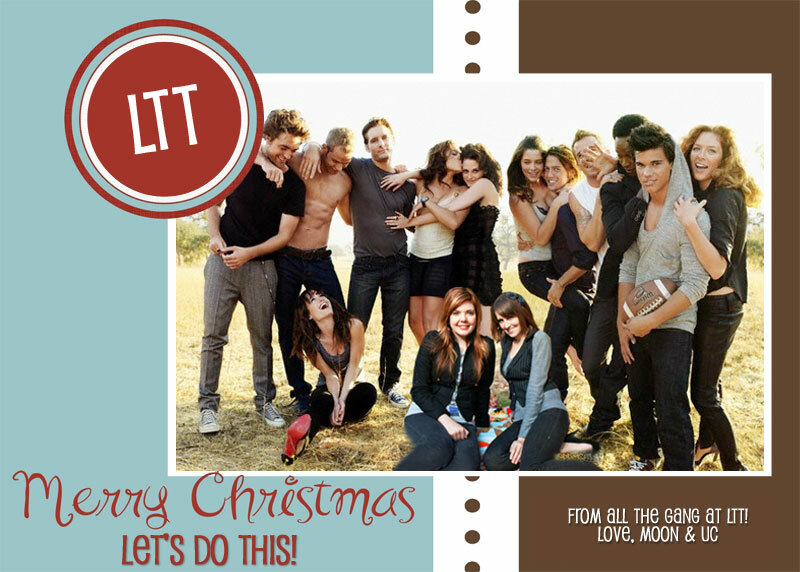 And as is tradition here at LTT/LTR here is our 2011 Christmas card… now imagine we printed these, wrote your name and address in calligraphy on the envelope, mailed with the a christmas stamp to your house and it’s currently hanging on your fridge/Xmas card holder. Awwww…. isn’t that a nice thought?! 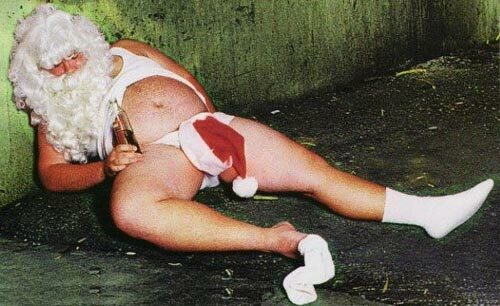 Happiest of Christmases, Hanukkah’s, Chrismukkah’s, Festivas’s and whatever else you may celebrate! We love you! Have something for Rob or anyone associated with him? Head over to LTR.